“Her” The Book To Film Hatchfund Donation Technical Difficulties! Attention: anyone who has tried to donate to our Hatchfund project to turn Her the book into Her the movie! 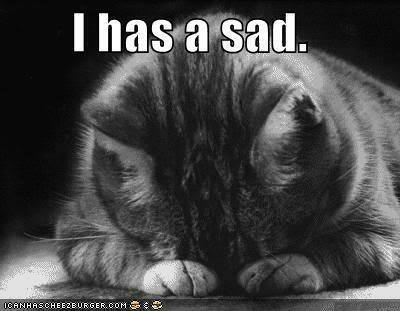 There have been some technical difficulties for the past few days and a few people have reported not being able to donate to the campaign. Remember that we need all of these donations in as soon as possible so we can make our goal to get started with this project, so please donate ASAP! Deadline is 9/28/14 so please don’t delay! Thank you again for all of your donations and shares, and don’t forget that if you share with three people who donate at least $25 apiece, then you can get the first level perk! via Mental Health Novel-to-Film Adaptation. Her the Movie Dream Cast! Her the book will soon be Her the movie, and here is the perfect dream cast of characters! Do you think they fit the part? Leave me your feedback! With week one behind us, and two punctual scripts completed, we were ready to begin building our team. There wasn’t much time, as we only had three weeks of production to get both trailers cast and filmed. Therefore, we used our time wisely. We held auditions and interviewed for crew positions at the same time. Ads for talent and crew were posted all over social media as well as professional sites such as love2act.com. Also, we used word of mouth to get the word out about needing help on the set. I have to say, word of mouth worked out very well for us. We had a great amount of support from our talented and loving friends. Some of these friends are people we’ve known since undergrad. 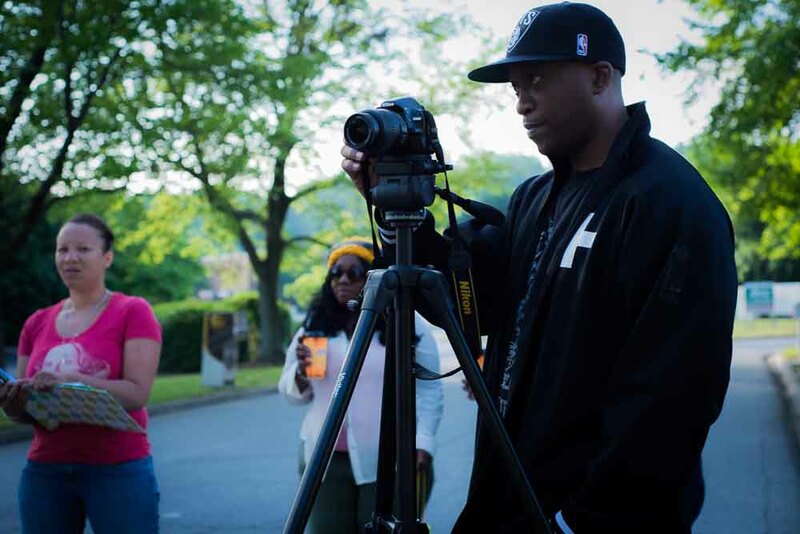 Dee Marshall was our film director. Luciano Comassetto was our wonderfully talented art director. He made sure that the story boards matched with our director’s vision. Abe McDermitt and Kenny Taylor worked as producers and casting directors. 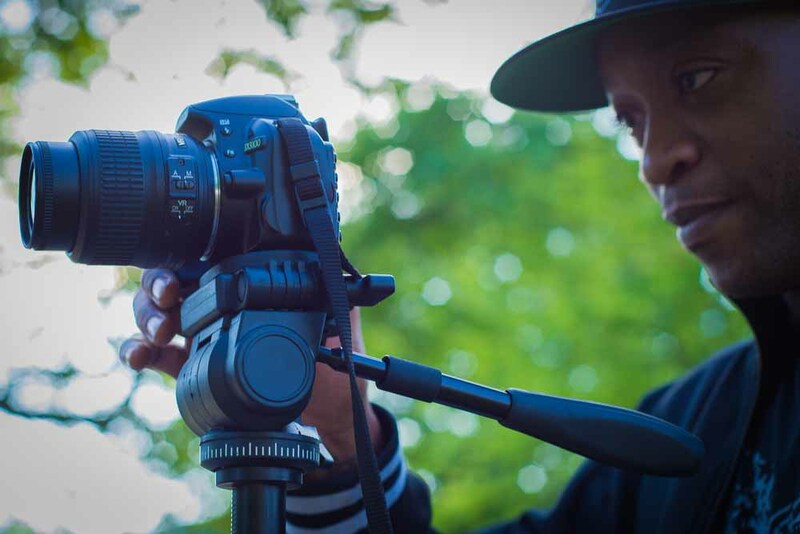 Akio Brewer was our fantastic DP and camera man, whose work we found on YouTube. Tia Jones was our amazing photographer on the set. Most of the photos that you’ll see posted in these blogs are a part of her great work. 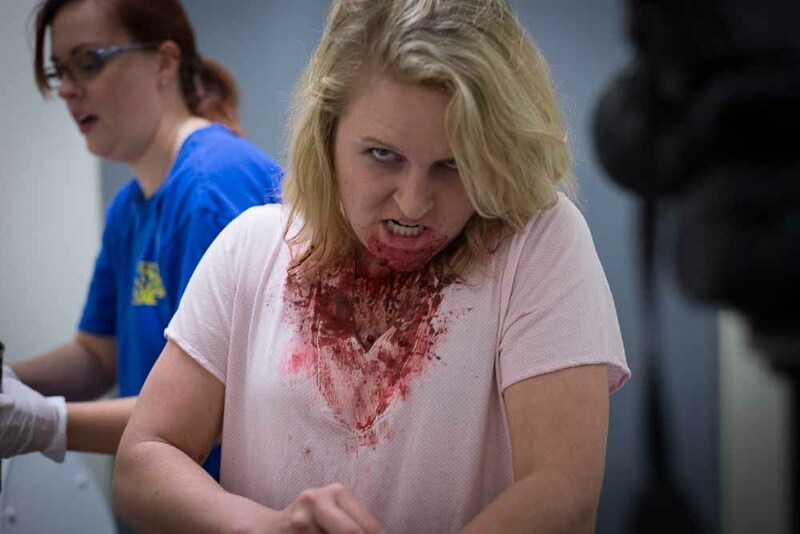 Mary Hutson is an incredibly talented make up artist that we were VERY fortunate to work with. Her work was unbelievable. 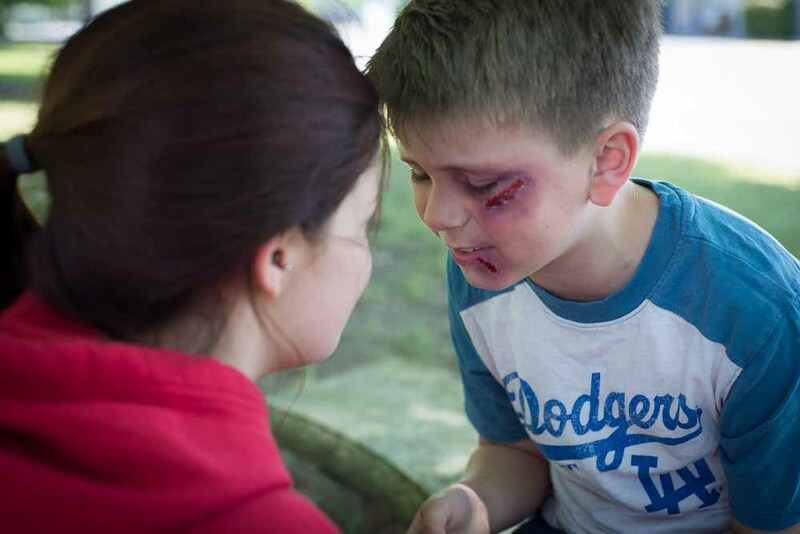 She was able to make the bruises and scars on some of our actors look heartbreakingly real. You’ll get to see more of her work in more blogs to come. Actress Haley, and make up artist Mary Hutson. 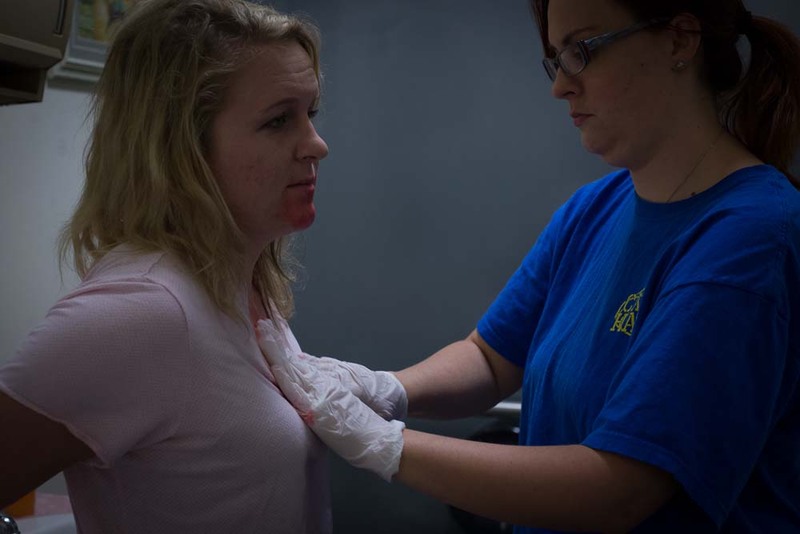 Mary Hutson, make up artist and Haley Delaney, actress. Scars done by make up artist Mary Hutson. Fake bruises painted on by make up artist Mary Hutson. Laura Vick is a fashionista and all around renaissance woman. She had the title of PA, but Laura proved to be more. She made sure that casting ran smoothly. Laura ran wardrobe and costumes, and she made sure that everyone was on time, well fed, hydrated, and comfortable. If you’re going to shoot a book trailer, I suggest you make sure that you have a Laura Vick on your team. Find that one person who is skilled, dedicated, loyal, and who actually cares about what’s going on. Make sure it’s someone you trust. Laura is all that and more! Nancy Wilson was a constant life saver on our set as a Set Assistant. Nancy was referred to us by our wonderful set designer, Danae McBurney. Danae and Nancy actually work in the film industry. Therefore, they were always prepared, on time, and reliably good with their work skills. Danae and I go way back. We used to work together several years ago, and we’ve remained friends since. And thank goodness we still had Tonina Kelly! She stayed on as script supervisor. It was helpful to have these amazing people there to work with us. Most of them volunteered their time to help us create the two book trailers. Casting the book trailers proved to be entertaining and fun. Because we used more than word of mouth for personal recommendations to find our cast, we really didn’t know what to expect most of the time. Social media and posting ads drew a larger response for finding actors for this book trailer. We did not do an open call casting, because we wanted to maintain control of the event. An open call would bring a large crowd and most of the actors would’ve been sitting for hours, when there may not have been a role available that would be fit for them. Therefore, we posted ads that encouraged actors to send us a resume and headshot. That way, we were able to see if we had roles that would be suitable for the actors to audition for before they came in to audition. We didn’t want to waste anyone’s time. If we saw that the actor could fit any of the roles, we scheduled an audition for them with a set day and time, and we sent them the information they needed to be there on time. This seemed like the best way to keep the auditions organized and not seem like a cattle call. 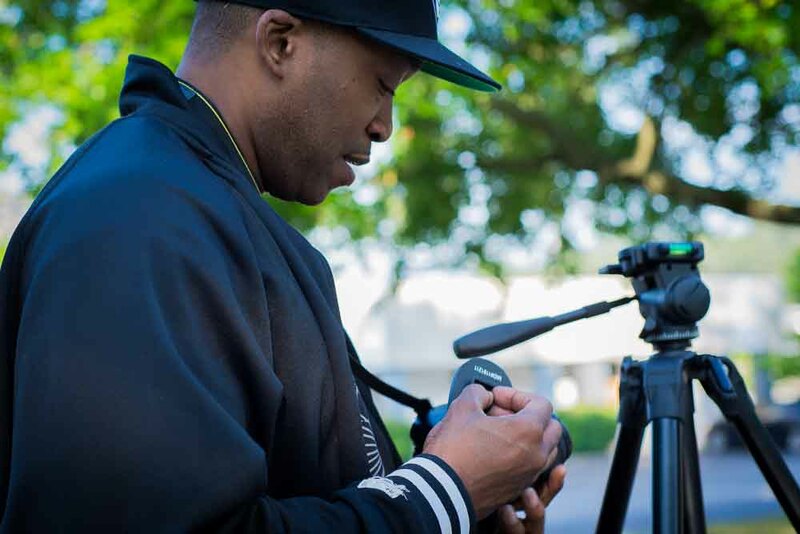 DP Akio Brewer getting ready to film. Auditions took three days to complete. During the auditions, we conducted an interview with the actors. Because of the subject matter of the story and the types of roles we were casting, we asked a very relevant question, “How in touch with your crazy are you?” I truly believe that because of the answers we received to this question, we were able to pick the perfect cast for these book trailers. Stay tuned to the next blog and you’ll see why. Check out the work of some of our talented crew! April and June were very busy months. 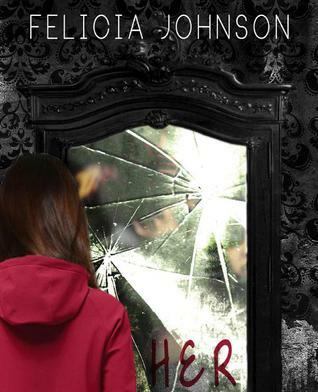 I had my first novel called Her published and released on June 4th, my first editorial published on June 7th, my book release party for Her on June 14th. Not to mention before June, during the last three weeks of April, my crew and I wrote, produced, auditioned, cast, and filmed two book trailers for my book. April and June were fun months. I wouldn’t trade the time for anything. It was quite an experience. I had the privilege of meeting and working with new and interesting people. Most of these people are hard working and talented individuals that brought a lot of passion and integrity to our project. Without their dedication and help, the two book trailers would not have been successfully created. Week one began with perfecting the two book trailer scripts. Screenplay writer Tonina Kelly had read Her and had a keen understanding of the background of the book. Therefore, she was able to work her writer magic in turning the novel into a script for filming. The two book trailers were written like short films. Mind you, the book is written in three parts. It would be impossible to get the whole book into two short films and capture everything in only three weeks. What Ms. Kelly did was give the audience a visual teaser of what the readers could expect when they read the book. It is similar to a movie trailer, but instead of creating a full length film (at the time) and then chopping it up to make two trailers, Tonina Kelly was able to pick the most dramatic and key elements of the book that told the story to show you, the reader, on the screen. Tonina Kelly wrote two book trailers that contrast each other. We made two trailers to illustrate the most classic symptom of BPD: black and white thinking. The first trailer is heavy and dark. It is called: The Pain. The other trailer is a bit lighter. It is called: The Hope. Tonina Kelly did an excellent job writing two short films to make into book trailers that will show the rollercoaster of emotional pain and hope that main character of Her, Kristen, struggled with throughout the book. Director of the two book trailers, Dee Marshall of So Pure Entertainment (SPE), approved of the scripts and gave it the green light to go into production. Once the script was written, edited, and given the green light, we knew that we were ready to begin scouting a location that would be perfect for filming the book trailers. Rex Tuten is the director of The Highland Institute of Atlanta. We were able to use their large clinic as the filming grounds for the hospital scenes in the book trailer. It was an easy location to find and use as Mr. Tuten was more than glad to allow us to use the location for filming when the clinic was not in use by its staff. So, we used it to our advantage. Not only was the clinic our filming location, but it was the place we used for auditions, crew interviews, and casting. Because the space is so large, we were able to get a lot of work done without having to use several locations and go outside of our limited budget. Killing two birds with one stone seemed to have made things a lot easier and less expensive. Using close and available resources definitely helps when you’re working with a limited budget. Since the first week was completed and we seemed to be all set with a script, a director, producers, and location, there were just a few other things we needed to do before we began filming. We needed to find a great DP and cinematographer, art director, and a full cast and crew. And thus began week two of making our book trailers. Check out Tonina Kelly’s amazing screenwriting work! Also, check out Director, Stand up comedian, and writer Dee Marshall’s work! 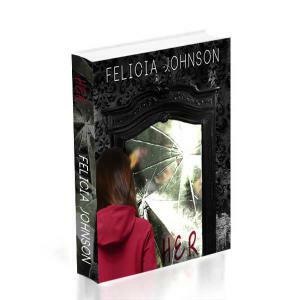 Her by Felicia Johnson now for sale on Amazon.